Pack of 10 clear Cellophane Basket Bags with a side gusset to give a flat base. Each bag base measures 36cm x 25cm and has a height of 80cm. 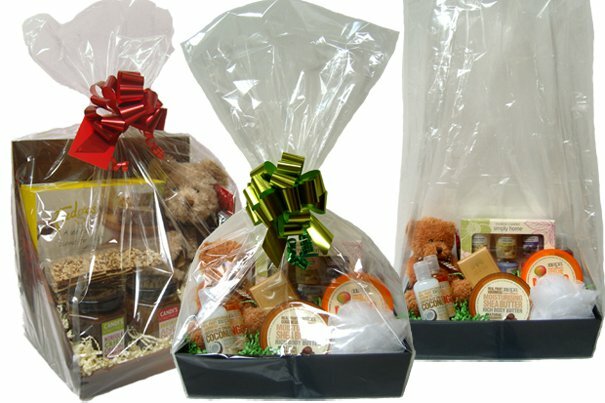 Very easy to use, once your gift is inside, just gather together at the top and finish with a pull bow or curling ribbon. Will fit a variety of small trays. Correct size bags are indicated next to each basket. From just 44p each. (Baskets, bows and contents are for reference and not included).